Dimensions 0.75 by 8.75 by 11.25 in. Amazon.com description: Product Description: This text provides students with a basic introduction to research methods in the social and behavioural sciences. It explores topics such as preparing professional materials, the use of the Internet as a resource for research and the basic features of SPSS. About: This best-selling text focuses on presenting the basics of research in the social and behavioral sciences in an informative and personable manner. 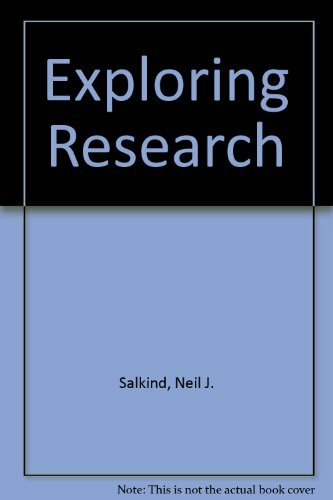 With Neil J. Salkind | from Macmillan Coll Div (January 1, 1994); titled "Exploring Research"